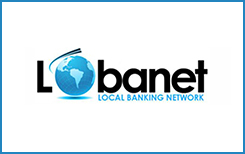 Making fast online payments in Latin America is possible thanks to Lobanet. This is the system designed by Minerva Data company. Sometimes the service is called Transferencia Bancaria Local or T.B.L and some might call it Local Banking Network. If you see one of the names, you should known that’s the same payment solution. The solution is extremely simple and convenient. Thanks to the network, online gamblers and other users can pay casinos and other online merchants without providing their financial details. The network consists of multiple banks and some of them are world renowned institutions like HSBC, Royal Bank of Scotland, ABN AMRO and others. These are trusted and high quality banks. There are around 40 of them. By building special relationships, these banks can process transactions much faster than normally, and that’s greatest thing about Lobanet. As we mentioned above, you don’t have to join the system by signing up. You just need to be a customer of a participating institution. Buying credits at an online casino requires you to go straight to the cashier and select Lobanet. After that you’ll be asked to specify how much you are going to upload. Confirm the details then proceed to specifying a bank. Knowing your bank allows the system to provide you with reference number. You’ll need to save this number and remember exact transfer size. It’s recommended to save the web page with this data. Once you’ve saved the information, click Submit button to proceed to online banking page. After signing in use the reference number to make a deposit upload amount will be asked as well. Transactions via this system are available in local currencies. Since this payment solution is designed for Latin American countries, there will be Brazilian Real, Argentine Peso and other currencies. The website is translated into English, Spanish, Portuguese and variety of languages spoken in Latin America. If you don’t have account at one of the participating banks, there’s no way to use Lobanet. When online gamblers or other users make a transaction using the service, their bank account is used to cover the transaction. Banks outside Lobanet network won’t enjoy this privilege, and their customers would have to look for other options to make fast, secure and convenient wire transfers. Using Lobanet is a great option if you don’t want to sign up with multiple e-wallets and other payment processors just to keep your financial details secret. There are a lot of respected, world renowned institutions which have joined Lobanet network so that users won’t be forced to join some questionable banks. No registration with Lobanet is required meaning that you can save some time. Considering payments are instant, online casino players would very much appreciate it. You shouldn’t worry about reliability of the company. Minerva Data is registered in the UK and has stood the test of time without ever being accused of unfair or illegal activities. Thanks to Lobanet, online gambling operators and retailers won’t know your bank account details. That’s an effective measure to prevent identity theft, which is a big problem today. The service is free. Another advantage is round-the-clock customer support. That makes you feel confident that you won’t have to wait for long to get help. There are a lot of payment options which don’t require bank accounts. For some online punters this won’t be the most attractive solution solely because they don’t have or plan to have a bank account.